Hundreds of youth came out recently for the Kajiado County Sport and Culture Festival, held at Ongata Rongai town. The quarterly festival which is a blend of sports and culture saw taekwondo, judo, karate, modelling teams from the region take part. 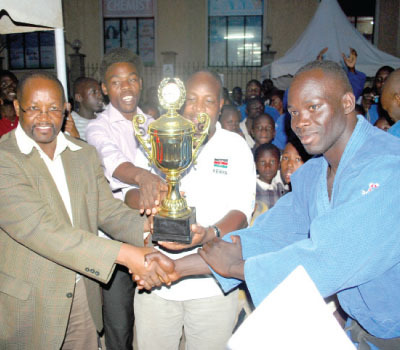 Kajiado County Football Kenya Foundation Chairman Moses Kamalik said that some of the teams that participated will represent the Country in Judo competition in Egypt in July. The Kenya Defence Forces, General Service Unit, Nakuru,Malindi teams also participated to motivate Ongata Rongai Judo team that will representing the country. Sports and Social Service Officer James Sankaire said his department was advocating for a drugs free society by promoting sports in the County. 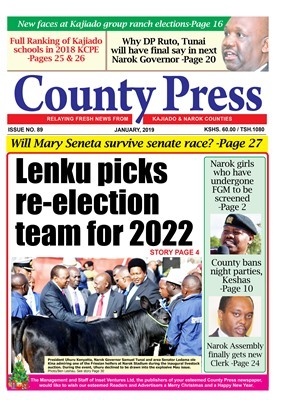 He said that more events will be held in the County to identify for more talent. The Kenya Defence Forces the overall winners in Judo, General Service Unit came second with Malindi Judo Club taking third position. Margret Mbote, a director St Paul Children’s home also led his team in street soccer. A pupil from the home had reached the nationals in javelin throwing. Models led by 2015 Miss Kajiado June Cherutich displayed different cloth from Ongata Rongai designers, putting Rongai on the map as a home talented designers. Judith Adhiambo for emerged the winner in modeling. 2Face Modeling Agency director Emily Nzasu, who, empowers women through modelling said the County had immense talent which needed nurturing. Nzasu who has conducted several modeling shows in the County said untapped talent need to be identified to market the County. Ongata Rongai is among towns in the County that lack important facilities such as social halls and sports centre. However, money has been allocated for the construction of social halls in Nkaimurunya and Rongai Wards.